Melissa Made: XOXO - In Love with Stencils! 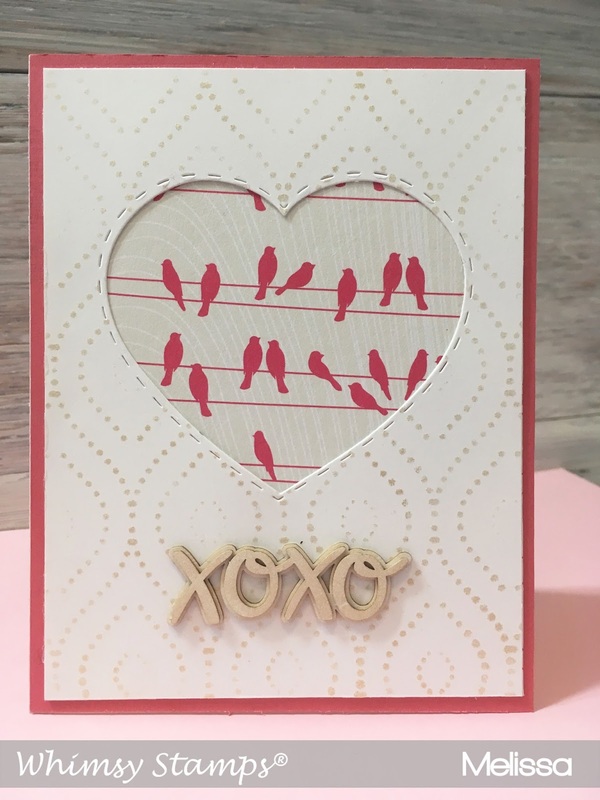 XOXO - In Love with Stencils! Today, I wanted to go for something a bit different. No coloring this time, just some gorgeous inks, stencil and papers! 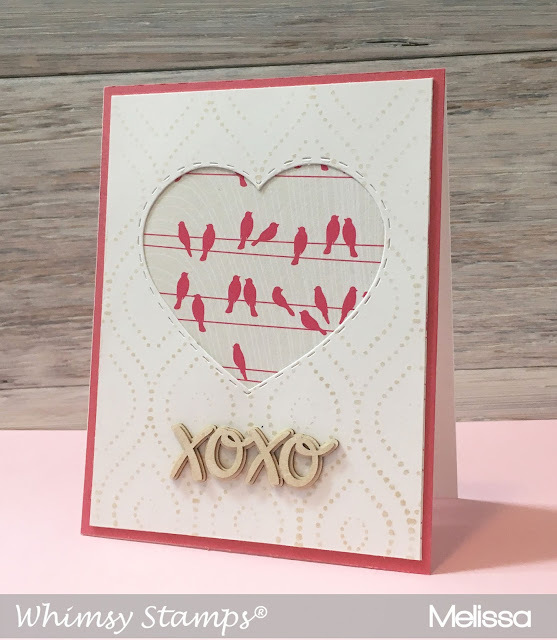 I used the dotted rounds stencil with my champagne Delicata ink. The combination is shimmery, light and gorgeous. Look at the shimmer! I layered it over some paper I received years ago in Cocoa Daisy kit. I also added the beautiful chipboard sentiments that Whimsy has from Make It Crafty. 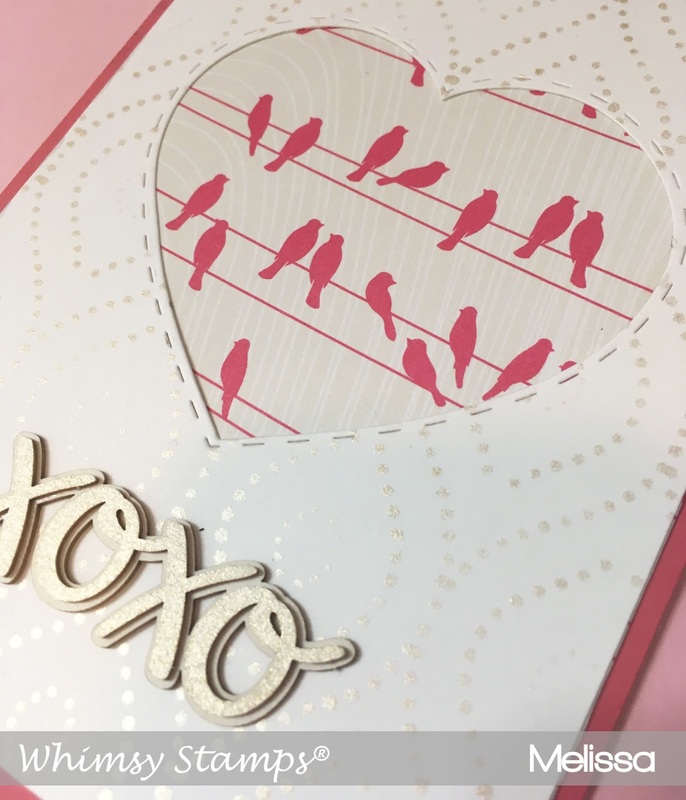 Whimsy stamps is the sponsor on the Passionate Paper Creations Facebook page. They are offering a 20% discount on new items! You have to be part of the group though. It's a wonderful place to share all your fabulous creations!